PROFUSION is a micro modular data centre that replicates the cooling, power, and security capabilities of a traditional data centre, but on a much smaller scale—less than 10sqft/1sqm. It is a self-contained, precision-cooled, high-density, plug-and-play-ready server cabinet with an integrated redundant cooling system (2N, N+1 and N configuration options). The cooling system consists of a pair of hot-swappable and redundant cooling modules that are located at the bottom or the top of the cabinet. Using highly sensitive sensors throughout the cabinet, the cooling system provides accurate cooling for variable densities up to 30kW with 2N redundancy. The system automatically meets the needs of the varying IT loads, thereby relieving IT managers and data centre operators of this burden. 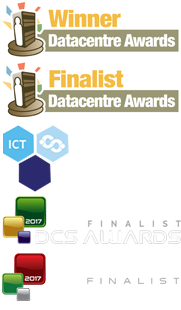 PROFUSION’s efficiency greatly surpasses that of any traditional data centre. It enables high-density computing within the smallest possible footprint and with the lowest possible power consumption while requiring only simple maintenance and minimal operational efforts. Relative to traditional models, the system’s unique design and technology allow for a reduction of up to 80% in cooling energy usage and nearly 95% in operational resources. Expenses stemming from the operation of computer rooms, such as the costs of floor management and containment strategies, are minimized or eliminated. The benefits of containerised data centres – most notably rapid deployment – are achieved without the inconvenience of working within a containerised environment. The high CapEx and OpEX associated with traditional data centres are also eliminated. For more detailed information, click to download this .pdf brochure. Sounds interesting? Talk to Mavin today. We're waiting to answer your questions.